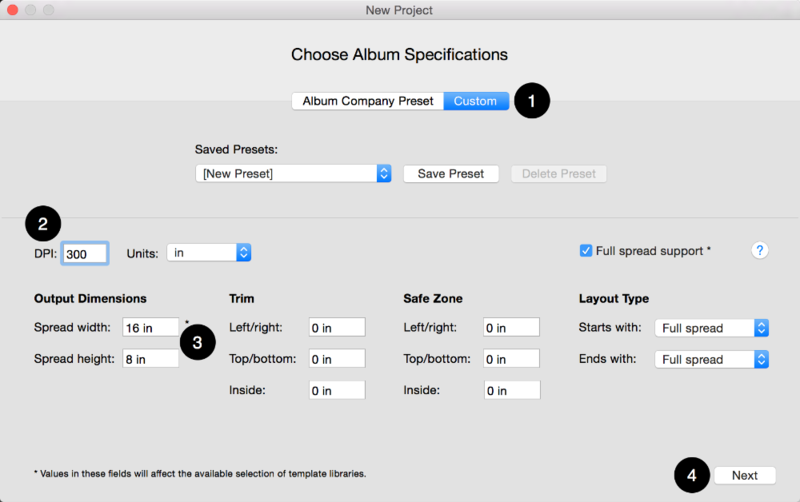 Click on the Custom tab in the Choose Album Specifications window. Enter "300" for the DPI. Enter the width and height of the cover dimensions specified by your print lab. Every album company and album type has different cover specifications; please contact your lab for exact cover dimensions for the album you intend to order. Click Next and design a single spread as if it were the cover.